We currently live in a world in which the original combustion-engine-powered car is facing increasing oblivion. The internal combustion engine shook our world, and the cars it resided in have been designed to many variables – industry, technology and development, aesthetic passion and the simple demand for mobility to the masses. 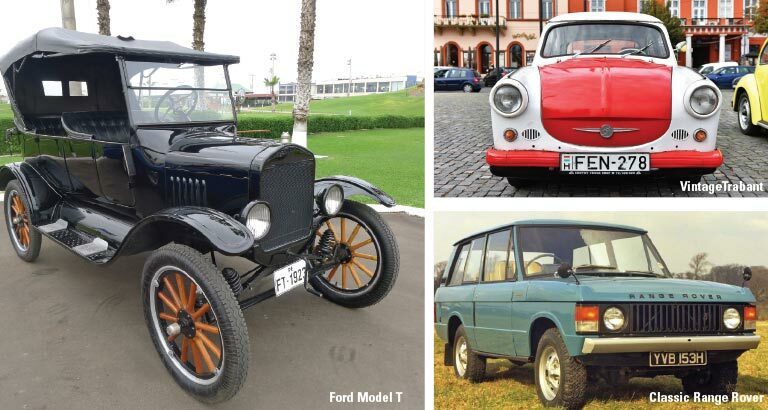 The car has evolved over the last 100 years. As the world strives to reduce emissions and road congestion, we seek alternative power methods and transit systems. Have you ever considered in this world we live in – with over 2 billion cars and 7 billion people – which cars have shaped the motoring industry? Which cars have been pioneering in moving us forward to where we are today? The list is indeed long. I thought I’d remind you of just a few of my favourites. Only a few, though, I would require more writing space from the Ed to list them all. First up, for me, was the Ford Model T (1908). This car could be said to have modernised the USA. It was easy to drive, had suspension to suit the rural roads and was made affordable by using the first vehicle production line. The original Volkswagen (1946) was also noteworthy. Taking his orders from a nasty little man with a moustache, Mr Porsche designed this ‘people’s wagon’. It had the longest production run from 1946-2003, during which it distributed a staggering 21 million units worldwide. The Volkswagen also gave us electrical and mechanical reliability not previously seen. The Trabant (1957) mobilised post WWII Eastern Europe with a two-stroke engine and reinforced plastic body work. Doomed environmentally after the Berlin Wall came down, it remains a huge symbol for a change in Germany no one expected to see. In 1956, the Suez crisis and petrol rationing brought the need for a small economy car. Ta dah! Enter the Mini in 1959. It had a transverse engine and integrated gear-box designed by Issigonis, who revolutionised economy motoring. The arrival of the Range Rover in 1970, essentially transformed the basic Land Rover into a comfortable, quieter off-road vehicle. It also paved the way for car manufacturers to move to the SUV design concept. Interestingly, the Range Rover designer always regretted it becoming the status symbol it became – the Chelsea Tractor anyone? The Jaguar E-Type (1961) was, and indeed so remains, a highly desirable British sports car icon. Resembling a race car – for which purpose it was hugely successful – it introduced aerodynamic design with a 240kph performance for a fraction of the cost of a Ferrari or an Aston. There are obviously so, so many other cars that defined the motoring industry both in engineering, materials and design. Such evolution in motoring will undoubtedly continue, but will it be so interesting or with such design passion? Alas, I think not. Unfortunately for us petrolheads, we are staring at the future of electric and self-driving cars. We must pander to the whims of the safety and environmentally conscious. But, my goodness, how incredibly the car industry got here and what wonderful and amazing vehicles have been with us on this 100-year journey. However, I fear these fantastic creations will soon be found only in museums and the garages of wealthy private collectors.